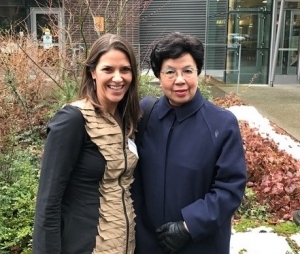 One of the highlights of University of Washington’s symposium celebrating ten years in global health was seeing the Director General of the World Health Organization, Dr. Margaret Chan. Dr. Chan was charming as ever, with a spring in her step and a smile on her face. Perhaps it is because she is nearing the end of her term (her successor will be chosen during the upcoming World Health Assembly) that despite moments of levity, her words had a more sobering ring. Dr. Chan painted a complex picture of the world in which global health professionals work. We are confronting new diseases and old diseases, dealing with post-antibiotics and post-truth. She warned the attendees that some believe a long-standing social contract has been broken and “we are now living in a world that has lost its moral compass”. Before we could wallow in our collective struggle, Dr. Chan laid out four priorities to help guide health policies and programs. Here’s what they mean for our work at VillageReach. 2015 Global Health Supply Chain Summit: What’s NEXT? 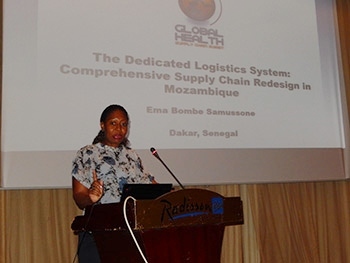 Last week, the annual Global Health Supply Chain Summit took place in Dakar, Senegal, bringing together supply chain specialists and thought leaders from around the world to keep challenging each of us to strive for better performance of supply chains. It is a week to reflect on what is currently happening in supply chain management, and it sets the agenda for priorities for the coming year. In the previous post, Nick shared the exciting news that data from health centers in Mozambique is now available for us to see. Living in an environment where information is easily available at our fingertips, we often take the availability of data like this for granted. In reality, obtaining data from a place where information systems and health records aren’t commonly used is quite challenging! Yet, the information is crucial not only because it can strengthen the overall performance of the health system by enabling data-driven decision making by our partners on the ground, it is necessary in order to measure progress and impact. And as I’ve written previously, VillageReach is committed to monitoring and evaluating the progress and impact of the Dedicated Logistics System in Mozambique. The key questions to ask when attempting to evaluate impact are whether or not the Dedicated Logistics System has met its objectives to improve health system performance and increase immunization coverage. 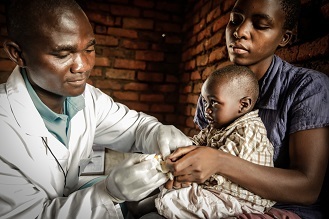 In the baseline evaluation, we attempt to answer questions such as: how many children are immunized and how often do health centers run out of vaccines. Unfortunately, this type of information is just not available. There are no immunization registries to search. Health centers don’t keep patient records. Even if they did, we still wouldn’t be able to know how many children are not immunized because there are no vital record systems either. These things just aren’t tracked. In order to get the information we believe is valuable to answer these questions, we went out and collected it. In order to estimate the immunization coverage, we conducted more than 800 household surveys in randomly selected villages across the two provinces of Cabo Delgado and Niassa. The sample size gives us enough statistical power to make an estimate of the true immunization coverage rate with 95% confidence and because the villages were randomly selected, the sample is representative of the population. In each household, we essentially asked whether or not the children living there had received certain vaccines. In addition, we conducted surveys in more than 60 health centers in those villages to get an idea of how the health centers were performing. We worked with a group in Mozambique who hired and trained local staff to conduct the surveys and complete the data entry. The process took about nine months from the time we first sought Ministry of Health approval for the study until we started seeing the data. Despite a few challenges along the way including delays in schedules with field teams, traveling time to remote villages, and correcting for concerns with the data such as missing entries and incorrectly completed surveys completed, we have real numbers. We have real data from the very last mile. Finally, we can use this data to answer our questions regarding how many kids aren’t being reached by vaccination services and what we can do to improve this. Using this information, we can tailor our program activities in ways that can make the biggest impact and that is what we intend to do. Before we can share the results publically, we need approval from the Ministry of Health. We’ve started the process and have already shared the results with provincial leaders in Cabo Delgado and Niassa. We will be presenting the results to the Ministry later this month or early next year. We are looking forward to sharing our results with you as soon as possible. Stay tuned. Last night my husband and I watched as Olympic speed skater Shani Davis won the gold. Unfortunately for us, we didn’t experience the thrill of surprise in his victory because NBC airs the program hours after it happens and we had read the news earlier in the day. My husband informed me that many frustrated viewers wrote to NBC requesting live coverage of the Olympic games. “Did it work?” I asked and was told no. I suppose we’ll watch Shaun White compete for gold too (even though we already know he wins). Did it work? This question is integral to our lives. Did my Toyota come to a stop when I pressed the brakes? Did my headache go away after I took Tylenol? We don’t always realize it but we are constantly conducting evaluations. These questions and answers contribute to our understanding of what works and what doesn’t work so that we avoid repeating the failures. The concept is pretty simple, so shouldn’t it also apply to the health programs we support? It appears that the importance of evaluation in health programs is gaining attention. Perhaps this is in response to Moyo’s argument that $1 trillion in international aid has actually increased poverty and the shocking lack of evidence to the contrary. Last fall, I attended a lecture by Richard Horton, Editor of the Lancet, at which he urged the global health community of Seattle to use their expertise to support critical evaluation of global health data. President Obama’s recently announced Global Health Initiative highlights the need for robust monitoring and evaluation efforts in order to accelerate best practices and impact. Furthermore, donor communities are increasingly demanding evidence of impact from the organizations they support. 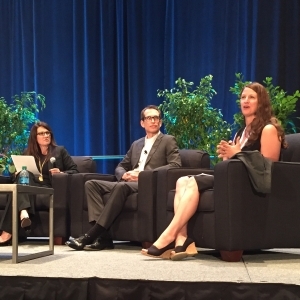 With increasing attention on the importance of evaluation, the global health community is turning their efforts to the improvement of metrics, data, and evidence. Previously, VillageReach held a discussion on the strategic balance between emotional donation appeals versus more systematic explanations of our work. NGOs such as Kiva have utilized the advent of the growing social media and net space to reach a wider audience through the vehicle of a recipient to lender connection. Are there unintended consequences that will flow from an over reliance on social media vs. traditional face-to-face connections? How have NGO strategies and messages changed with the introduction of a more pervasive web and social media presence? How can NGOs best promote their work and gain connections through the web and social media? Ultimately, what role does social media play in promoting the work of NGOs? My name is Alexa and I am first year college student currently volunteering for VillageReach. I have spent the last week researching different blog sites maintained by practitioners (examples researched include The Acumen Fund and Frontline SMS), research centers (The Center for Global Development), foundations (The Skoll Foundation), academic blogging vehicles (The Stanford Social Innovation Review and The Duke Sanford School of Public Policy), donor communities (GiveWell and Tactical Philanthropy) and independent blogging sites (Good Intentions are Not Enough and Blood and Milk). The purpose of this research was to identify online communities where VillageReach could engage with practitioners, researchers and donors, raise awareness of VillageReach and network with different organizations and individuals. I found it compelling to learn more about how different organizations and individuals utilize blogs to promote new ideas, engage with their donors, make announcements and network. Additionally, some of the most successful non-profits have revolutionized the new social media/network space for fundraising and to create awareness. 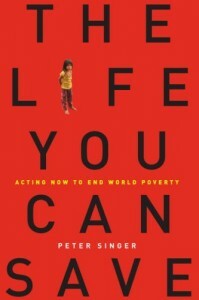 For example, Kiva’s and Heifer International’s on-line models parallel a function offered by Facebook. In its configuration, sending a friend a birthday gift of a goat graphic over Facebook does not differ greatly from giving a goat in the name of a friend through Heifer International. Kiva draws its strength through an emotional connection a donor draws through a photo of a recipient and through lender groups. The ever evolving web has changed the rules of the game when it comes to how non-profits structure their models, raise awareness of their cause and fundraise. My research has guided me to raise several questions on how VillageReach should further engage and connect with other organizations, individuals and donors through the web as well as how other organizations view the web/social media as a tool for their overall mission. 1.) How has your NGO modified their marketing/communications approach to engage in online opportunities and culture as well as to establish a social media presence? 2.) What role do social networking sites such as Facebook/Facebook causes play in the work of NGOs? 3.) How can the blogosphere help to unite fragmented divisions such as public/private sectors, multi-lateral sectors and NGOs? 4.) Many non-profits such as Oxfam, Charity:Water and Amnesty International, etc. offer opportunities and resources for high school and college aged students to become informed on issues pertaining to poverty and human rights, to take action for a cause and to fundraise on behalf of the NGO. What role should youth play in VillageReach’s mission/work? Certainly this concept is not new as non-profits flood their year-end marketing appeals with individual sponsorship programs and passionate stories of hardship and suffering. Kiva is a perfect example of the power of connecting to the individual as they market to donors with a personalized story and photo of each borrower. So what is our debate about you ask? The question in the office is: If this type of marketing works, and research shows that it does, shouldn’t VillageReach change its message to focus more on individual stories and less about systems? Up until now, VillageReach has presented its message and for that matter, our brand, as a social enterprise. We are capacity builders and have been recognized as one of the top non-profits for our cost effectiveness in strengthening healthcare systems. Our work directly impacts those children who so successfully appeal to donors. Yet, this is our challenge. If we focus on the child who we are able to save through immunization, do we lose the opportunity to educate donors on the critical importance of systems building and social change? Do we lose the chance to describe the complicated and sophisticated nature of what we do? Perhaps this is not black or white and just as any good fund development or marketing manager knows, you need different messages for different audiences. Yet, Professor Singer’s book has given us an opportunity to step back and discuss how we tell our story to current and potential donors. And wherever we land at the end of this debate, we know either way the most important message of all is in our ability to save a life. That we all agree on. What are your thoughts? Join us in this debate.